+ The average costs associated with losing internet service. 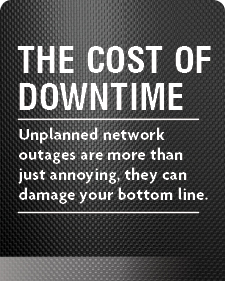 + Some of the most common causes of network downtime. + What you can do to reduce the risk of downtime.